Say NO to Bullying! 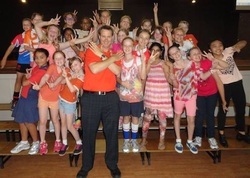 Jamboree Heights State School (QLD) again sent a message that Bullies are NOT welcome at our school! Add your school to the list by filling out the contact form below. Remember to include a link to the site where your photo or statement can be found (for example your Facebook or other social media site). Add your school here. Add a link to your site where you have made a statement saying "NO" to bullying. Tell us where your statement is so that we can add a link to it here. Paste the URL (webpage address) here, please.